I have been known to spend a lot of time in practice room hallways lurking in the shadows, listening to what is usually some pretty ineffective practicing. I've learned a lot in the process about what goes on behind practice room doors and am constantly on the hunt for new ways to help students figure out how they can help themselves in the practice room. But it's tricky. Students usually only see their teachers one hour a week but then spend 5-15 hours a week by themselves without any feedback but their own. If a problem crops up while practicing what is a student to do? Rarely can they contact their teacher for immediate assistance and by the time the next lesson rolls around those problems have multiplied and turned into a cloud of problems that are difficult to isolate and present to the teacher. Teachers struggle too, I believe. If only they could clone themselves, turn into flies, and camp out on their student's practice room walls. If only they could spend entire lessons observing their students practicing. And parents...what are they to do? It allows for interaction between teachers, students, and parents. 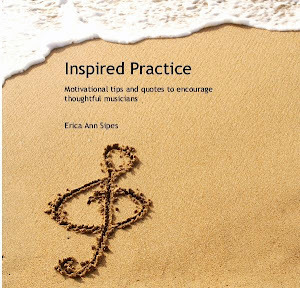 There seems to be a focus on practice time and goals accomplished rather than on how many notes are accurately played. Students in the same studio, class, or band can see what their peers are doing - a little friendly competition can be good! Teachers can easily and clearly communicate specific goals for each student so they can go to the practice room without the mystery of what to do. Teachers can listen to or watch clips of practice sessions and tag specific spots, providing quick feedback so issues can be resolved in between lessons. The Practicia team seems eager and able to respond to the needs of their clients. Even within the past few weeks I have seem them tweak the app as a response to comments made by app testers. 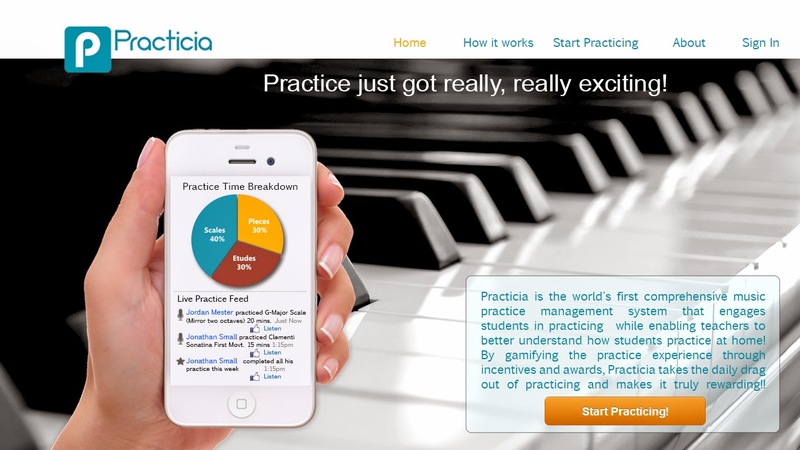 The BETA version of the app will be released soon and Practicia is looking for studio teachers, band teachers, and music coaches like myself to help test it out. If you have access to an iPad or iPhone (the full version will be available on all platforms) and are interested please sign up on their webpage. There may be limited availability so do sign up soon and be a part of a practice room and teaching evolution!